Recently, I keep on having on my FB wall this post about the highest paid actors in the world which I always read whenever I’m bored. One actor that is rather new to the list is Dwayne “The Rock” Johnson. It is no question on how he landed a spot on the list though due to his dedication and hardwork to projects he is on. One thing noticeable with The Rock is his tattoo on his arm. Even with different characters, he still wears the tattoo and does not hide it. His tattoo is an example of a Polynesian tribal tat. These tats have its roots from the Samoan islands wherein tribes of the earliest locals have it as part of their culture. Due to globalization, the native tradition became a global favorite. Like most of the tribal tattoo designs, Polynesian tribal are done in solid black ink. The distinctive feature of these tattoos are the repeating patterns that consumes a larger space compared to common tribal designs that are more like just curve lines. Sometimes, there are identifiable subjects within the patterns that showcase the bountiful nature where Polynesia is situated. Examples of which are flowers, waves, sea creatures, and tropical plants. 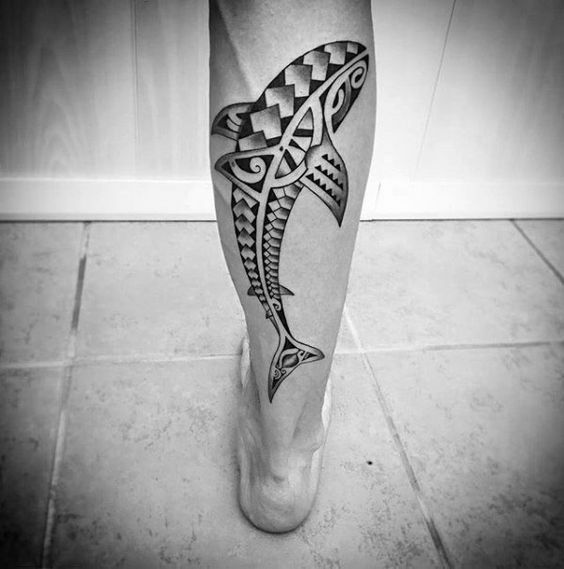 We have a number of Polynesian tribal tattoos gathered up for you guys today. These tats are default awesome and wicked so when you’re about to get one, be sure to get noticed.